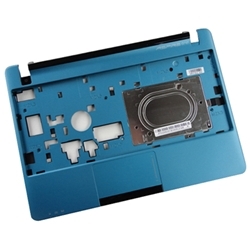 Description: New genuine Acer Aspire One notebook upper case palmrest. This part is blue in color and includes the touchpad. Part #'s: 60.SFU02.001, PK0900007W00, S8442D-5100.